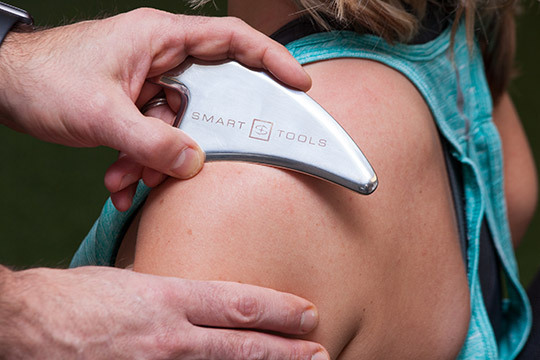 This is an approach of manual therapy and uses stainless steel tools to create a controlled inflammatory process by addressing adhesions and scarring. With IASTM, the healing process is starting by breaking down unwanted tissue, thus accelerating the recovery process. IASTM is combined with other principles of evidence-based exercise to reduce pain and improve patient function.